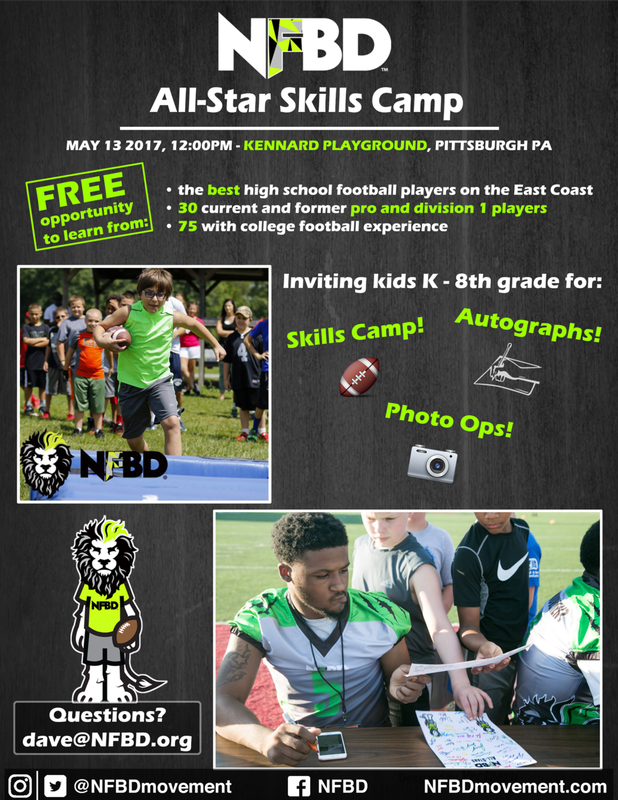 Our NFBD All-Star Showcase is bringing over 50 D1 & D2 football players from around the East Coast to Pittsburgh. The players will be coached and mentored by current and former NFL and division 1 players. The morning of the game, the all-stars and coaches are having a walkthrough at Kennard Playground, and will then hold a FREE skills camp for K-6th graders! So we can know how many to expect, just fill out this quick form to register. Email dave@nfbd.org with questions. See you on May 13 at Noon!